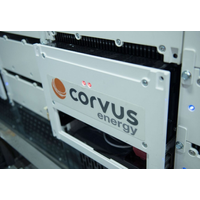 Corvus Energy, manufacturer of energy storage systems for maritime applications, announced two production and R&D expansion plans underway in Canada and Norway. The new battery factories will be more modern and more automated than other similar factories, result in eight times the production capacity compared to today.First, the Corvus Energy factory in the Vancouver, Canada region will be expanded and upgraded to house a 200 MWh semi-automated battery production facility. A new product R&D, design and engineering facility will also be developed. ABB will supply the power and electric propulsion system to a new Floating Storage and Regasification Unit (FSRU) for BW Group, which will also be remotely connected to ABB’s Collaborative Operations Centers. The equipment onboard will provide data to the shore-side Centers allowing ABB and the vessel owner to take a proactive approach to maintenance throughout the lifetime of the vessel. “The modern power system must be both efficient and connected,” said Juha Koskela, Managing Director of ABB’s marine and ports business. 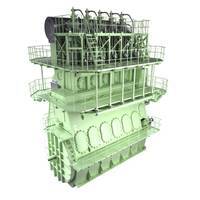 MAN Diesel & Turbo received an order for four MAN B&W 5G70ME-GI engines in connection with Daewoo Shipbuilding & Marine Engineering Co.,Ltd. (DSME) agreeing a deal with the BW Group to build two LNG carriers. The technical engine specification complies with IMO Tier II, with options to include remedies for Tier III compliance at a later stage. The 173,400 cu. m. vessels are scheduled for delivery in late 2017/early 2018 and will be built at DSME’s Okpo shipyard in Geoje, Korea. The deal represents the second LNG ME-GI contract for DSME after a previous order signed in 2012. Gaztransport & Technigaz (GTT), a designer of membrane containment systems for the maritime transportation and storage of liquefied natural gas (LNG), received an order for two Liquefied Natural Gas Carriers (LNGCs) to be built by the Korean shipbuilder Daewoo Shipbuilding & Marine Engineering (DSME). GTT said the order adds to what it called an already strong third quarter 2014 order book. 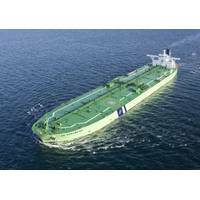 The vessels, be operated by BW Group, a Norwegian owner with a long history of operating GTT-designed LNG carriers, are expected to be delivered between 2017 and 2018. Four two-stroke ME-GI engines ordered for two LNGCs. MAN Diesel & Turbo has received an order for four MAN B&W 5G70ME-GI engines in connection with Daewoo Shipbuilding & Marine Engineering Co.,Ltd. (DSME) agreeing a deal with the BW Group to build two LNG carriers. The technical engine specification complies with IMO Tier II, with options to include remedies for Tier III compliance at a later stage. The 173,400 m3 vessels are scheduled for delivery in late 2017/early 2018 and will be built at DSME’s Okpo shipyard in Geoje, Korea. OceanSaver’s ballast water treatment (BWT) system has been chosen for two 162,000cbm LNG carriers being built by BW Gas. 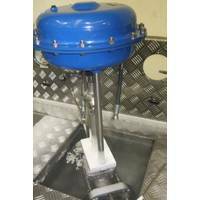 OceanSaver was selected due to its competitive pricing, low operating costs, and compatible technical system. 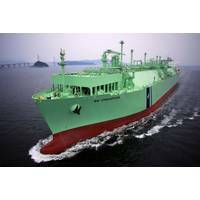 BW Gas is one of the largest independent owners and operators of LNG carriers and the largest owner and operator of LPG carriers. These sophisticated and highly regulated vessels require competent crews and high quality operations. They also require consistent standards of maintenance which BW Gas maintains regardless of short-term changes in the freight market.